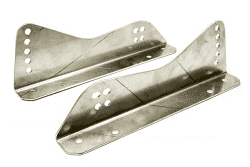 Since 1987, Ultra Shield Race Products has been committed to providing the highest quality racing products possible. As the professional choice in racing equipment, our seats, tearoffs, window nets, harnesses, and more are among the best products available for both amateur and professional drivers. Our primary goal is to supply our customers with fine products and exceptional customer service. We continually update and revise our product lines as new materials and technologies are made available and are in constant contact with some of the top drivers to gain insight on new ideas for safety and comfort. We know the best way to keep our customers secure and confident at high speeds is to keep up a continuous process of aggressive research and development to maintain product lines at the cutting edge of racing technology. Every product we provide for our customers is assembled and tested to assure you of high performance. 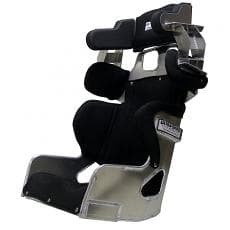 Ultra Shield's racing seat quality has been proven time and time again on dirt and asphalt, ovals, road courses, and drag strips throughout the world. Our seats are built in-house so we can customize them to meet the unique needs of our customers and their chassis. Our tearoffs come in more than 30 styles and fit over a dozen manufacturers, like Arai, Bell, Simpson, Impact, Pyrotect, RaceQuip, Zamp, and more. We can fit tearoffs to more than a hundred distinct models of racing helmets and produce OEM tearoffs for many of the top helmet manufacturers, available in 2 mil clear, amber tint, smoke tint, or 5 mil clear. Most styles are in stock, available for both auto racing and motorcycle racing. We also offer a wide variety of window nets and racing harnesses to accommodate styles and safety needs of racers everywhere – all made right here in the USA. Since we manufacture our window nets and harnesses in house, we have the flexibility to provide you with custom styles to fit based of your template. We're humbled by the reputation we have established among many professional and amateur racers. We take great pride in offering the best customer service in the industry and know that you'll recognize our impeccable attention to detail each time you ride in comfort and safety. When you purchase your racing products from Ultra Shield, you can rest assured that you'll be taken care of. 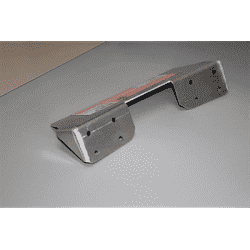 Take a look at our products today to see why so many drivers worldwide have designated Ultra Shield as their racing products manufacturer of choice.